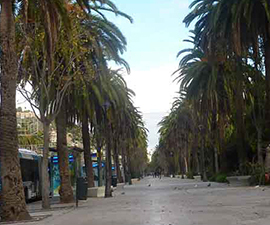 Málaga is a highly accessible city offering excellent public transportation. Travelers have many transportation options to choose from. Malaga has really embraced biking and with 29 kilometres of cycle lanes and 70km planned by 2017 its well on its way to becoming a biking city. Make the most of the cycle lane network and be able to safely tour the whole city or cycle along the city´s promenade for fantastic sea views. Cycle lanes are planned to connect Andalucian cities. Many companies offer bike rentals and/or city bike tours. 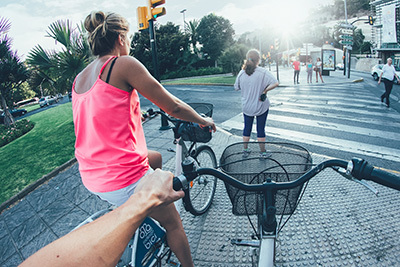 The Malaga Bici program, run by the EMT and local government, is particularly popular with bike stations strategically spread over the city making commuting by bike easy and efficient. EMT travel cards are available online or at the EMT office on Alameda Principal. Málaga is a great city for those who prefer to get around on foot. Once you are in the historic city centre, everything of interest is within walking distance. 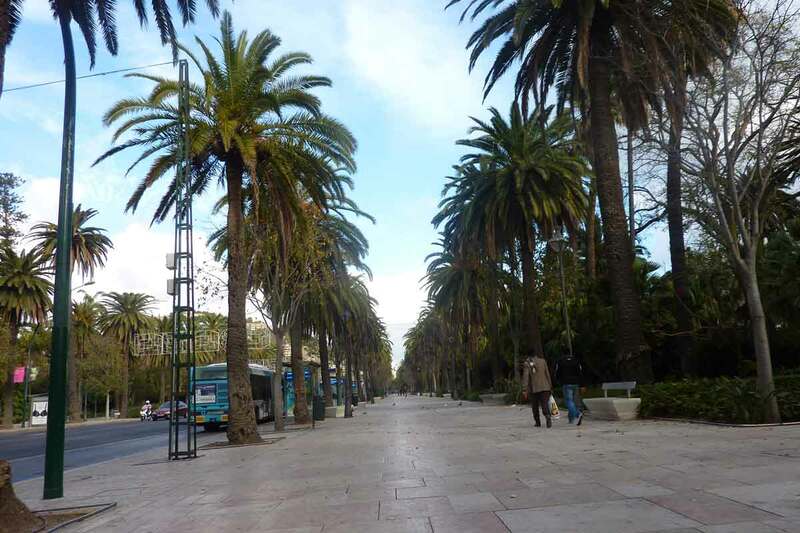 The Picasso Museum, the buzzing nightlife and all Málaga accommodation provided by MálagaInformation.com are in close proximity, and only a short stroll down the palm-lined Paseo del Parque to the Malagueta beach. Train services operated by RENFE, is the chief mode of transportation. The commercial train station is located behind the EROSKI, shopping complex—where passengers can purchase tickets to Seville, Madrid, and a variety of other destinations. Metro Station: Directly next to the main Post Office in the Center, Málaga's local metro system is composed of a single train line, whose final destinations are Málaga and Fuengirola. The train makes roughly 15 stops between these two end points. It's a great way to get to see different towns outside the city! It departs every 30 minutes, on, or half past the hour from 06:30 – 22:30. 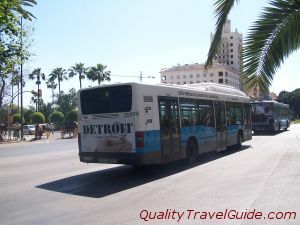 The bus network in Málaga is extensive and most lines run from 06:45 – 23:00, although some operate outside these hours. There are also 3 night buses to help you home after a night out. You can check destinations, timetable and prices on the official website (in English as well as Spanish !). Most buses can be caught from Alameda Principal in the centre of town. A single costs 0.85€ and you can also buy the “Multitravel” ticket for 5.70€ which allows you 10 trips. From the main bus station, that is located behind the EROSKI shopping complex and right next to the train station, you can catch a bus to surrounding towns and villages in Andalusia as well as the national coach network. See the Estabus website for details. 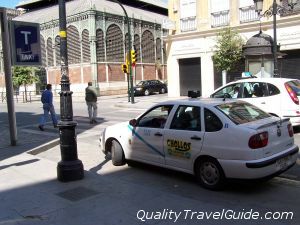 Taxis in Málaga are white with a blue diagonal stripe on the front doors, and a green light with the numbers 1-2-3 on the roof. If the green light is on or there is a “libre" sign in the passenger side windscreen it is free, so flag it down ! The pricing system is complicated, but expect to pay around 5€ travelling within Málaga city. However, everything is so close you may be better off walking. Since the Málaga Airport is by far the largest and busiest on Spain's southern coast, travelers have plenty of options for car hire in Málaga. With so many companies there is plenty of competition, driving the cost down for vacationers. Some companies are based in the airport, and there are also quite a few with offices in a strip right next to the airport, the latter offering courtesy shuttle services. MálagaCar.com is one such company, offering personalized pickup, 24-hour roadside assistance, unlimited mileage and full insurance coverage included in the listed price.